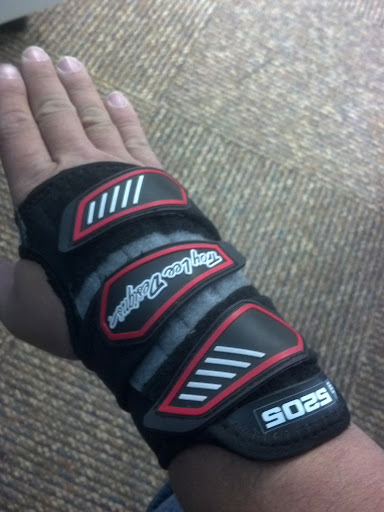 Troy Lee Designs WS5205 Wrist Support | HuckingKitty! I was having a ton of carpal-tunnel induced numbness on my bike, and had been trying all sorts of things to reduce it (Ergon grips, riser bars, adjustable stem). Saw a recommendation for these wrist guards and decided to give them a try, after comparing it alongside several other brands. The TLD 5205 seems to be the beefiest guard and that was the factor that made the decision for me. 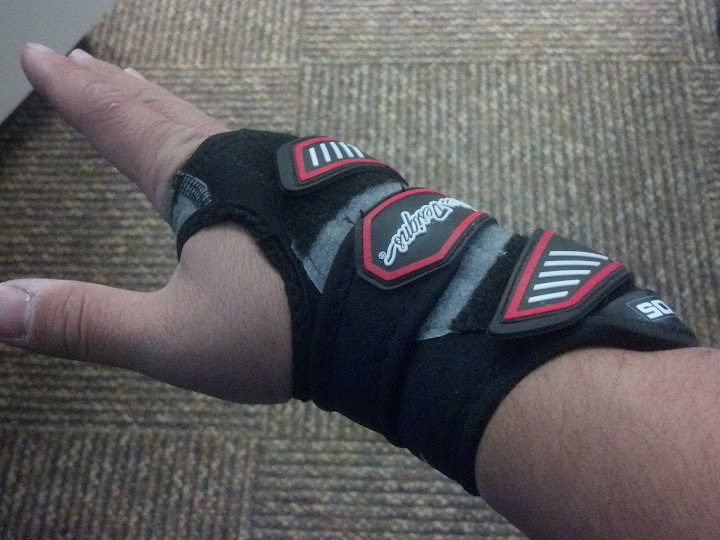 Tested it out once I received it and found that the wrist bracing is firm and strong, and it actually reduced my carpal tunnel symptoms by a great deal. Putting on a padded glove under the guard made it work even better. The brace is not uncomfortable - actually stopped noticing it after a while. I'm even wearing it to bed (my doc's suggestion) since I have been experiencing similar CTS symptoms during sleep. The numbness is now gone! Really happy with this wrist support!